At Peerless Automotive & Electrics our priority is you the customer. We provide an affordable and reliable alternative to having your vehicle serviced or repaired at a dealership. 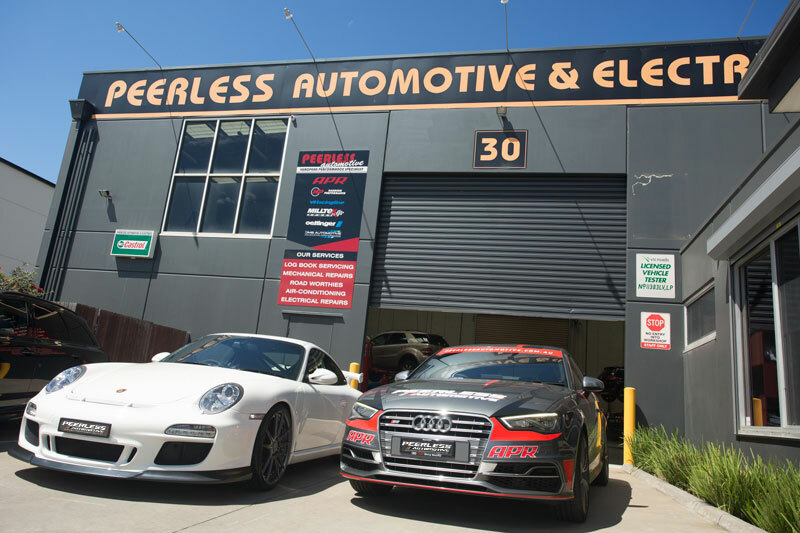 The team at Peerless Automotive & Electrics are highly trained, well informed specialists using the latest state-of-the-art diagnostic equipment, and a combination of factory-quality and high-performance aftermarket parts. We provide a cost effective alternative to having your vehicle serviced and repaired at the dealership you purchased it from. Our factory trained technicians only use the finest quality oils and lubricants available in our services, and we will always quote you upfront on work. If any additional repairs are required we will contact you to discuss before adding any additional expenses to your bill. Customer service is our priority at Peerless Automotive & Electrics. We deliver a prompt and professional service, keeping you updated throughout your vehicle’s repairs. Our reputation for first class repairs and performance upgrades has spread across Melbourne and we’ve established a loyal customer base. We treat all customers with respect and will treat your vehicle as if it were our own when performing any work. We also offer a free pick-up and delivery service throughout the local area (i.e. Lynbrook, Cranbourne & Dandenong South) and we provide free courtesy cars on availability. To find out more about our various services, or to make a booking for your vehicle, contact us today through the online form provided here.